Is there anything more gorgeous than a sleeping baby? Yes, a baby sleeping in a beautiful cot – safe and sound. 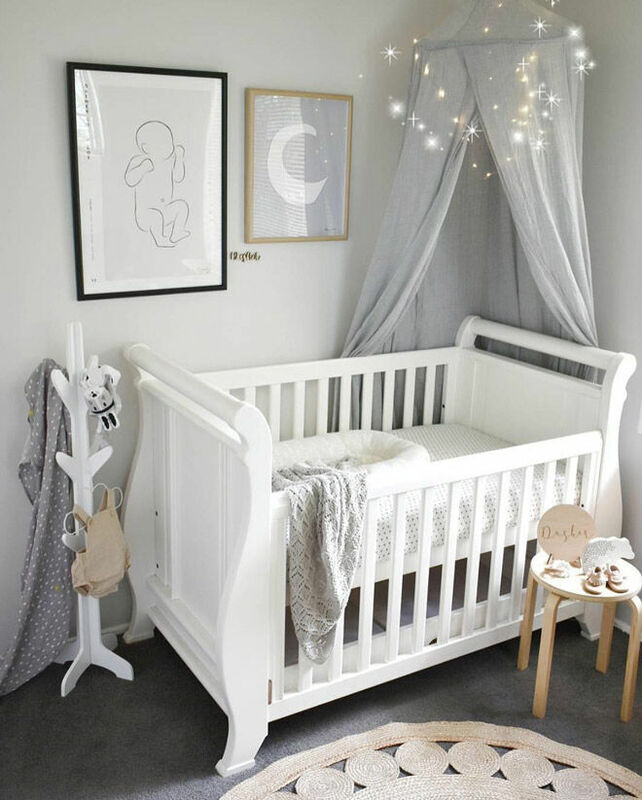 A key piece of the nursery puzzle, there are plenty of things to consider when buying a cot. 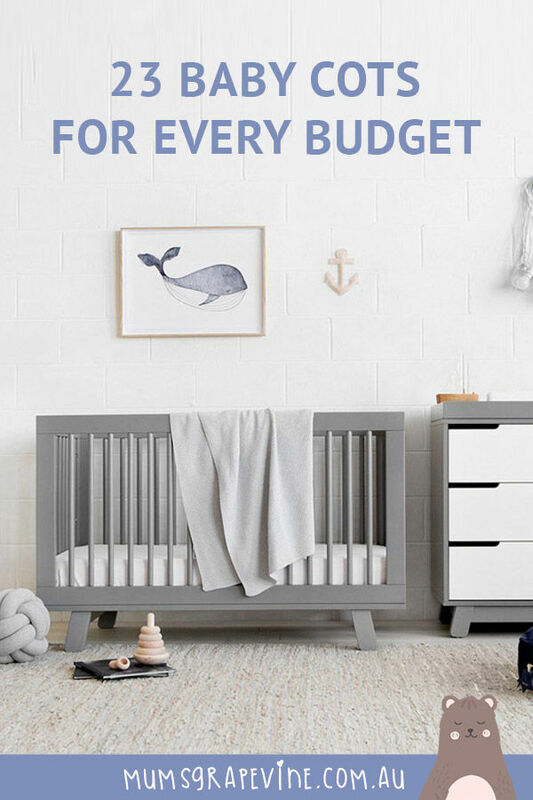 The cot is one of the biggest purchases to make for baby’s nursery. From the design and style of a cot to the practicality of where and how it will be used, it has to be the right fit. It’s also essential to consider safety and quality so both baby, and mum and dad, can rest easy. Space: How big/small is the room? Cots vary in size so measure your room and make sure the cot dimensions will fit your space. 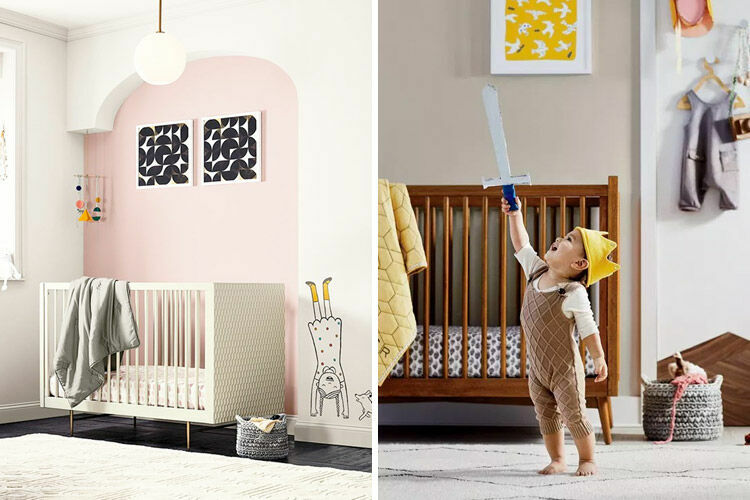 Use our handy nursery planning guide to help you on your way. Safety: Safety is paramount, so be sure to choose a cot that meets Australian Safety Standard AS/NZS 2172-2003. 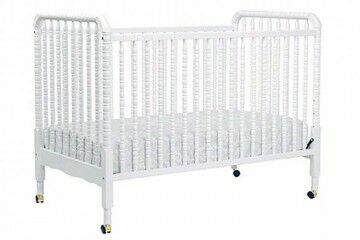 Quality: The quality will impact both the safety and durability of the cot. Choose a well made, sturdy cot that will last the journey. Fixed side or drop rail: Considering a cot with drop rails? Try to select a design that allows for one-handed operation so you can hold baby in the other arm. Adjustable mattress height: The cot should have a minimum of two mattress height options. Constantly reaching down for a tiny newborn isn’t fun, plus the added height means baby won’t be able to climb out of the cot. 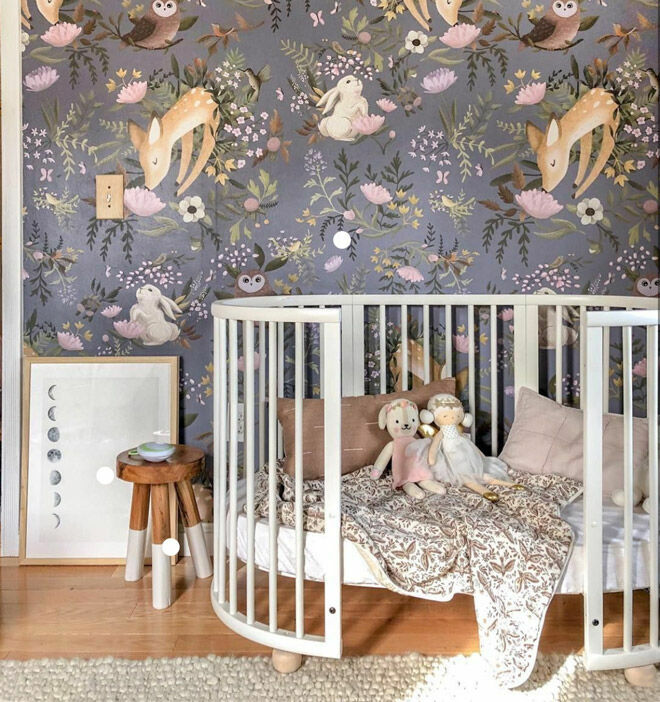 Nursery design: Is there a nursery theme or other furniture that the cot needs to compliment? Many cots are available in sets so the change table and dresser all match too. Teething strips: These are plastic strips that attach to the cot rails to protect baby’s precious teeth and gums, as well as the cot itself. Castors: Wheels make a cot easier to move around. Ensure the wheels are lockable so the cot won’t move when in position. Sustainability: Look for claims of sustainable manufacture, such as use of plantation or FSC-certified timber. Convertible cots: Make the transition from cot to bed as smooth as possible. A cot that doubles as a toddler bed will provide a safe and familiar environment when easing into the change. 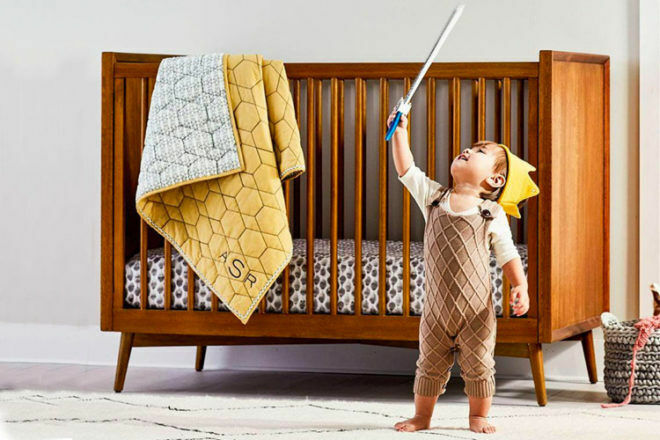 The aim of the game is to help you find a cot that is the hero of baby’s sleeping space, a beautiful statement piece that is safe and comfortable for your little one. Think we’re dreaming? Think again. 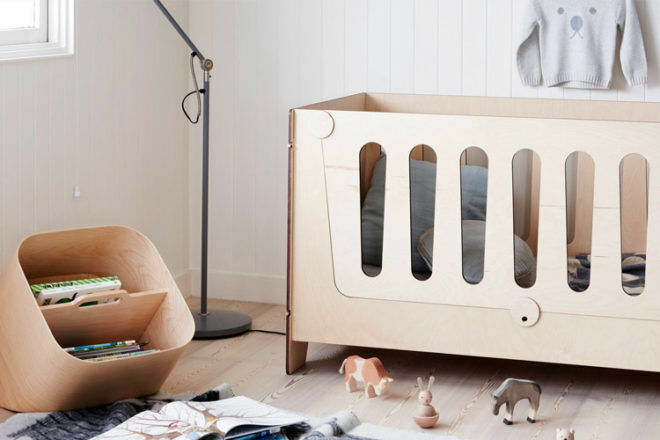 Without further ado, here are 23 of best cots available in Australia. Oeuf Fawn 2-in-1 Bassinet/Cot ($1,699): Growing with your child, this 2-in-1 bassinet and cot system offers practicality for all stages of babyhood. 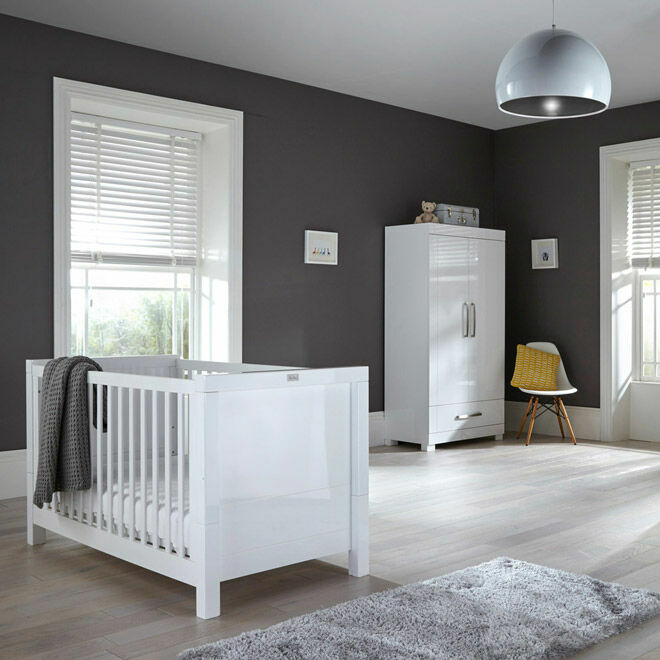 Easily transforming from a bassinet to a cot, the contemporary features and quality finishes compliment any nursery theme. 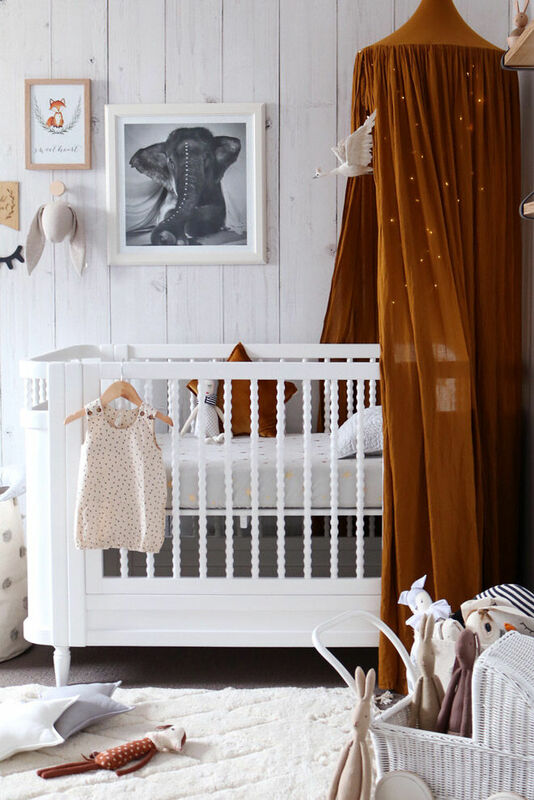 The Fawn Cot can be further transformed into a toddler bed (with an additional conversion kit) making for furniture item baby is sure to get maximum use of. 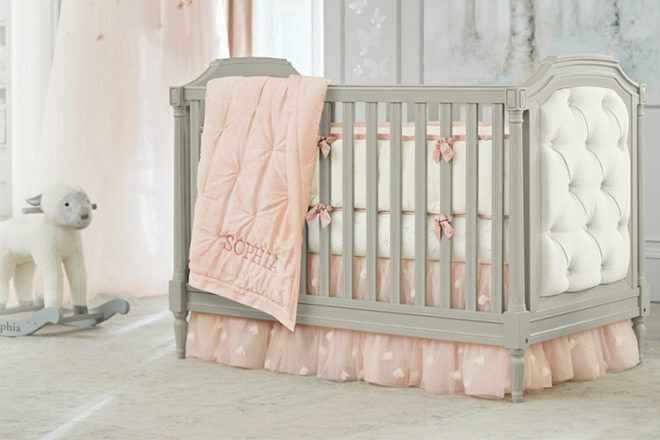 Babyletto Hudson Cot ($749): Fit for royalty and ever so charming, the Hudson cot is rumoured to be the choice of Prince Harry and Duchess Megan. 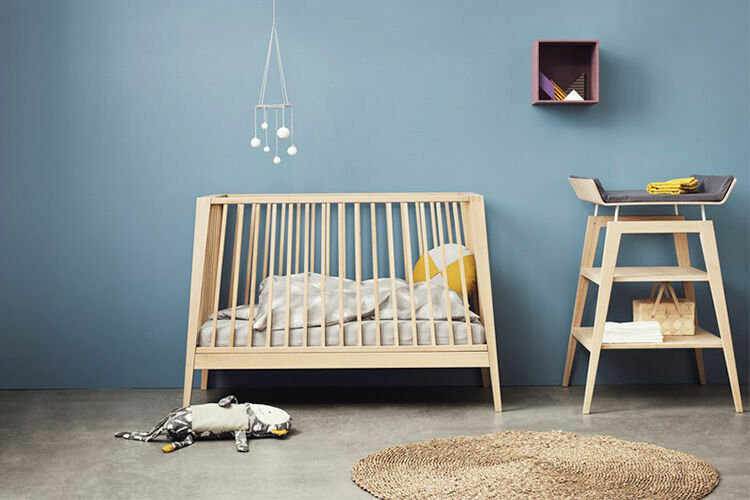 Constructed from New Zealand sustainably sourced pine wood for organic strength and style, the adaptable composition converts from a cot to a toddler bed with the kit for conversion included. Linea by Leander ($899.99) Part of the range from Danish design maven, Stig Leander Nielsen, the Linea cot is an urban twist on the classic contemporary style Leander is known for. Blythe Convertible Cot ($1,499): Timeless elegance at its best. The vintage-inspired Blythe cot brings a touch of whimsy and storybook charm. From pin-tucked upholstery to the turned wooden legs and detailed moulding, the ethereal features have been matched with superb safety – rigorously tested to meet or exceed all Australian standards. Bloom Retro Cot ($1,499): Enjoy the stripped-back elegance of mid-century design with this retro by name, retro by style cot. The all-around open slats maximise that all-important air-flow for safety and comfort. Despite its minimalism, the cot is still incredibly practical: converting from bassinet to crib-bed and toddler bed. 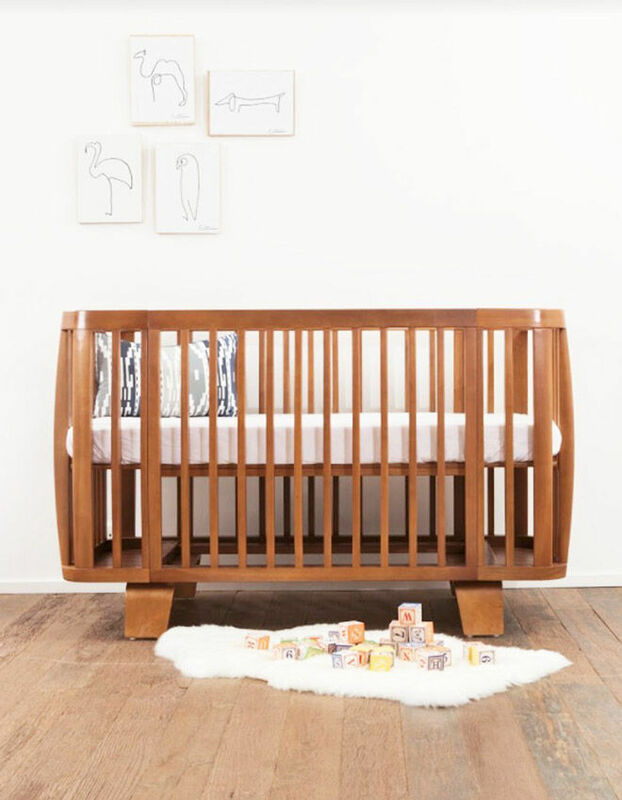 Mid-Century Convertible Cot ($799): A dreamy collaboration between two of our faves, this cot combines timeless design with durable craftsmanship. 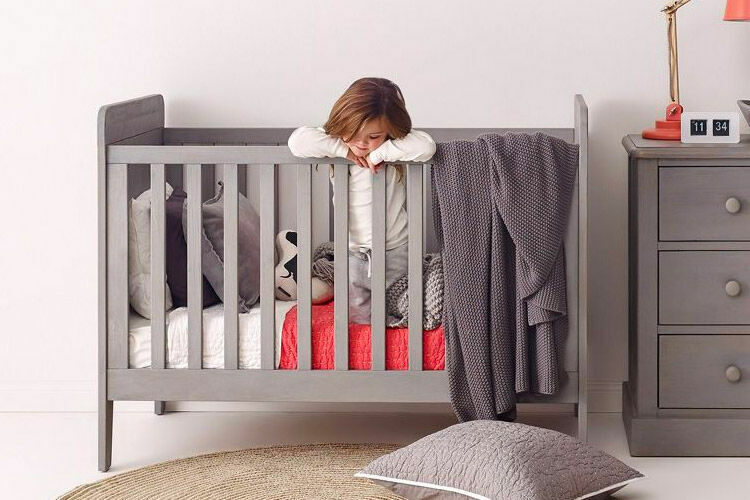 Featuring two platform heights, this cot grows with your baby, converting into a cosy bed for toddlers with the matching conversion kit (sold separately). Expertly made with sustainably sourced wood, complete with child-safe, water-based finishes. 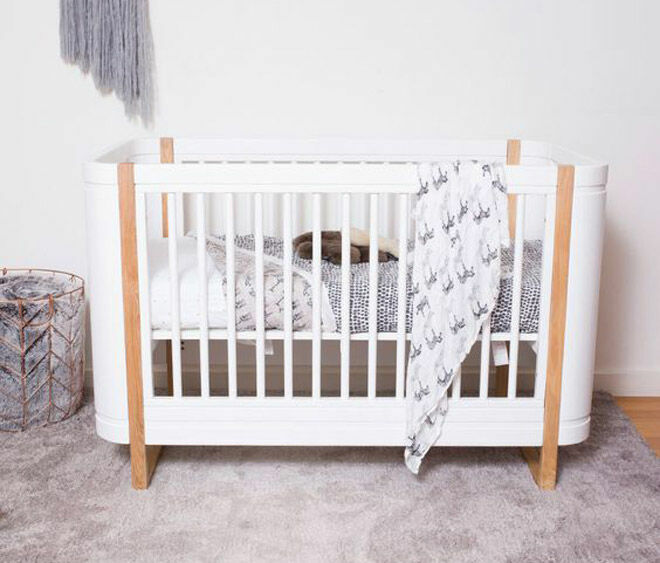 Incy Interiors Maxwell Timber Cot ($999): A mid-century style with a touch of modern luxe, this cot is a bold statement piece that will stand proud in any nursery. Certified to meet Australian, New Zealand, USA and Canadian standards (with built-in conversion kit too), the Maxwell Cot is sure to last the test of time. 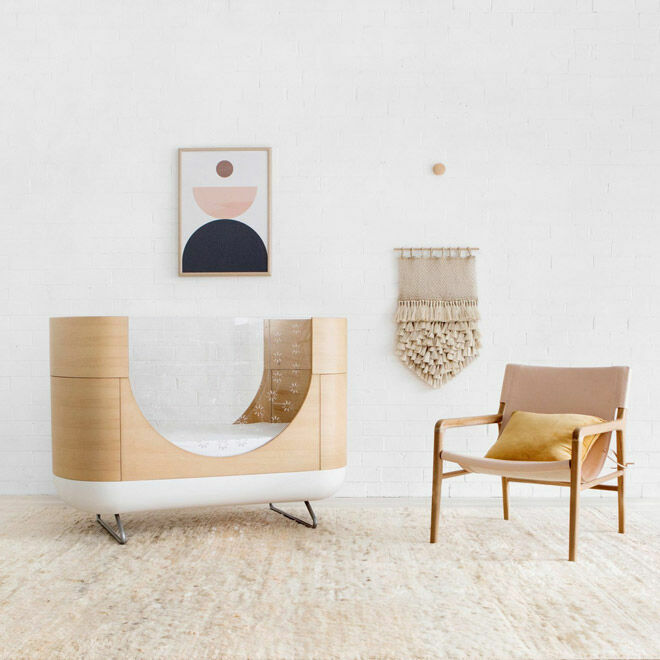 ubabub Pod Cot ($2,299): The iconic ubabub Pod is a cosy cocoon-shaped cot with smooth, rounded edges for a distinctly modern look. Unique clear acrylic sides allow parents to peek at their sleeping bundle of joy with an uninterrupted view. This statement piece meets the highest Australian and New Zealand safety standards, with fixed sides and interchangeable upper and lower mattress heights. 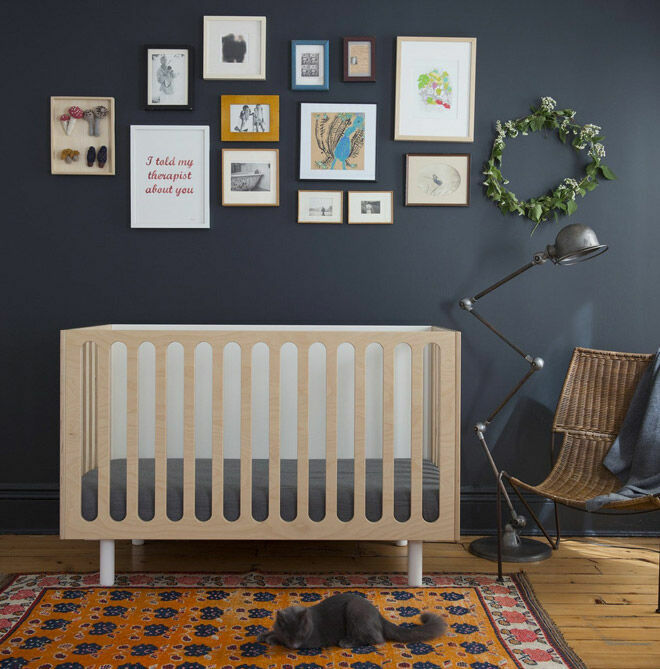 Leander Cot ($1,499.95): Stand-out Danish design makes the Leander cot instantly recognisable. 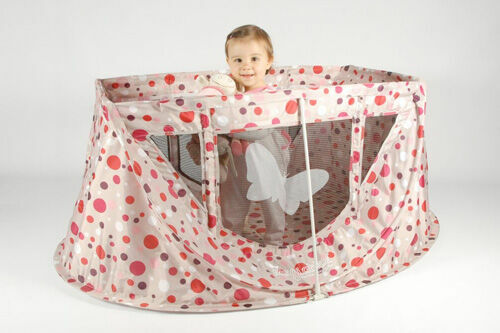 Its soothing curved shape creates a sturdy cocoon for your little caterpillar. 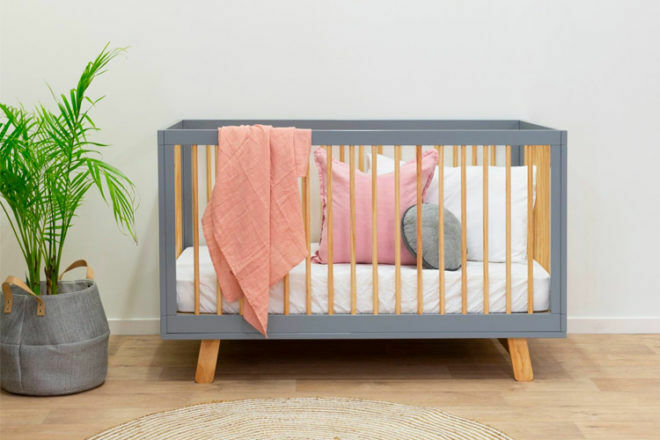 As beautiful as it is practical, this clever cot transforms to suit every stage of your tyke’s growth, with five conversions for newborn, infant, toddler, child and preschooler. Hoorah! 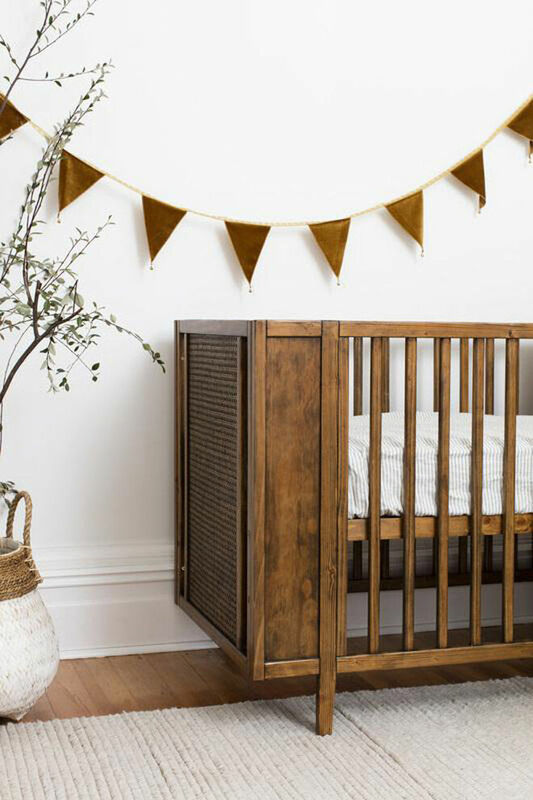 Troll Sun Cot ($549): A shining light in any nursery, the Sun Cot is manufactured from European plantation birch wood for strength, sturdiness and eco-friendly benefits. The effortless, Scandinavian-style cot easily converts into a junior bed when your little one has outgrown the cosiness of their cot. 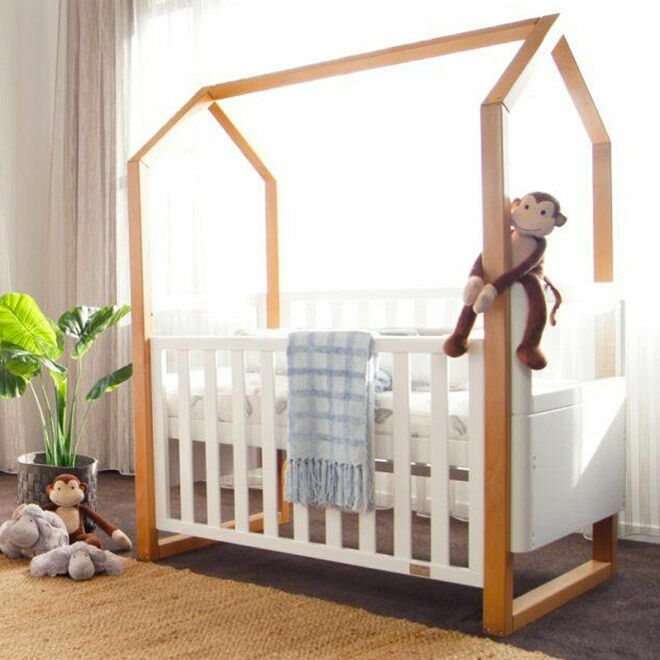 Mocka Aspen Cot ($349.95): The Aspen cot offers modern style at an affordable price. 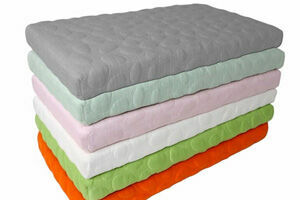 Complying with all Australian standards, the adjustable base and fixed sides allows baby to sleep safely. Available in three colour combinations – timber and either white, grey or black. 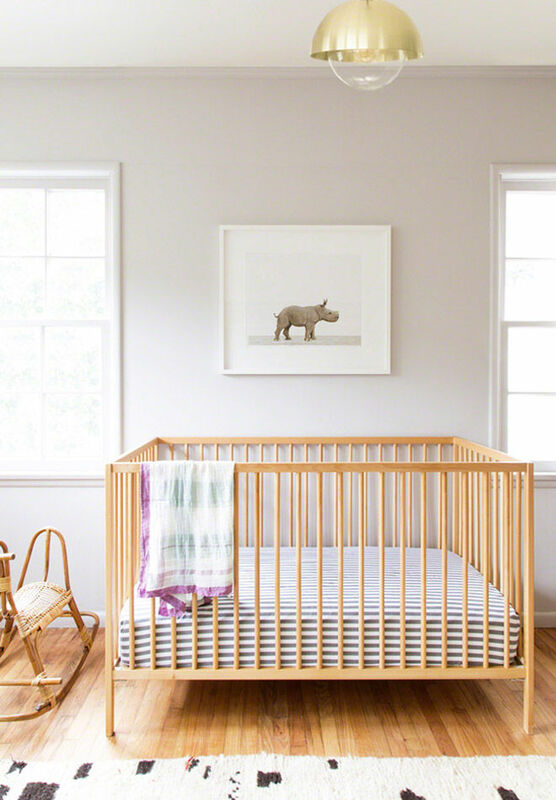 Plyroom Ava Lifestages Cot ($1,295): Create a tranquil nursery space with this stunning minimal design. Made in Italy from sustainably forested European birch, The Ava cot meets all AUS/NZ safety standards. Transforming seamlessly from a multi-height cot into a junior bed, it doesn’t stop there. The lifespan of this cot extends well beyond the nursery years, also converting into a children’s desk. Brilliant! Babyhood Kaylula Mila Cot ($1,199): Bring the fun of outdoor play into the nursery with this contemporary Australian designed cot. The Scandi-inspired cubby house design grows with your baby, transforming into a bigger bed for bigger tots when needed. Quality built, with an adjustable base level and smooth single-hand drop side, your sleeping babe will be safe as houses. 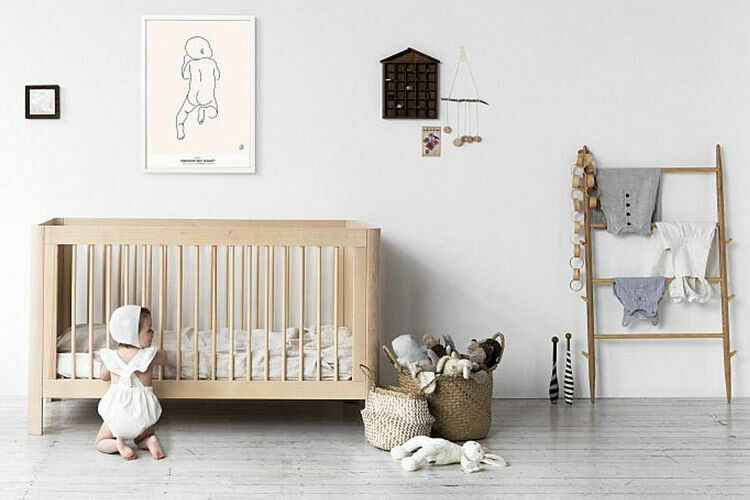 Stokke® Sleepi Oval Cot ($1,329): A beautiful addition to any nursery, the unique Sleepi Oval cot is a great all-rounder. 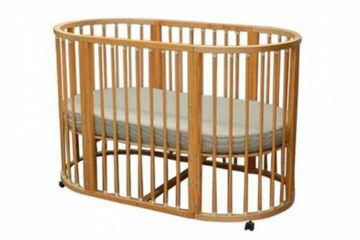 The distinctive oval design increases airflow through the crib, creating a safe cocoon for baby. Made from durable, solid beech wood, it grows with your child from newborn to toddler, and up to 10-years-old (double digits!) with the additional Junior Extension Kit. Sunbury Madison Cot ($599 including mattress): A simple but classic design, the Maddison cot provides the perfect base for planning a nursery. Built to last and made from quality beechwood, this 3-in-1 wonder transforms from cot to bed and then sofabed, maximising its use for years to come. Too clever! 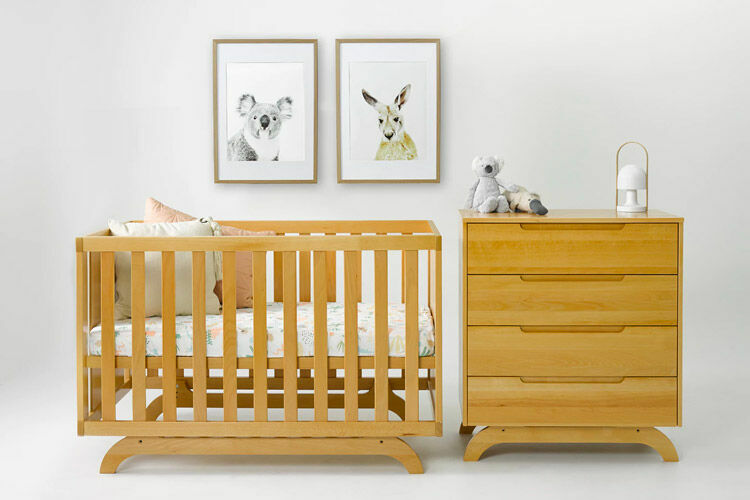 Il Tutto Bambino Marla Cot ($899): Boasting subtle but sophisticated features such as curved wooden edges, looped shape leg base and a two-tone design, the Marla cot makes for a gorgeous nursery centrepiece. Handcrafted from a combination of solid New Zealand pine, ash wood and beech wood it complies with Australian Safety Standards for a safe slumber. 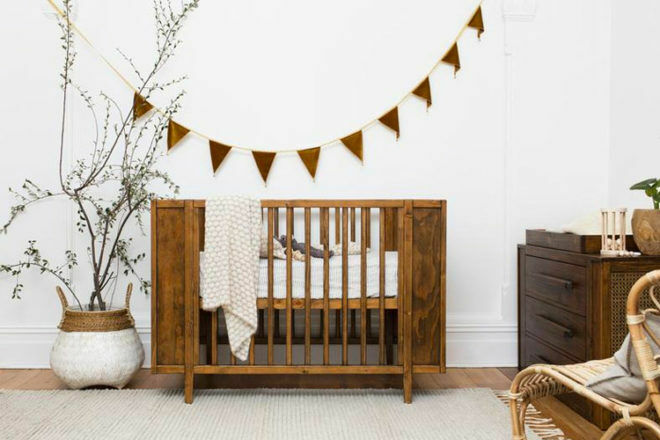 Bedtime Woody Cot ($559): Made from reclaimed pine wood for an eco-friendly design and gorgeous, natural good looks, the Woody Cot offers gender-neutral charm. It’s soft, washed finish gives it a rustic look to compliment many themes or styles. Featuring tall sides, solid legs with stoppers on the feet and a well-balanced body it’s the ultimate sleep space for bae. 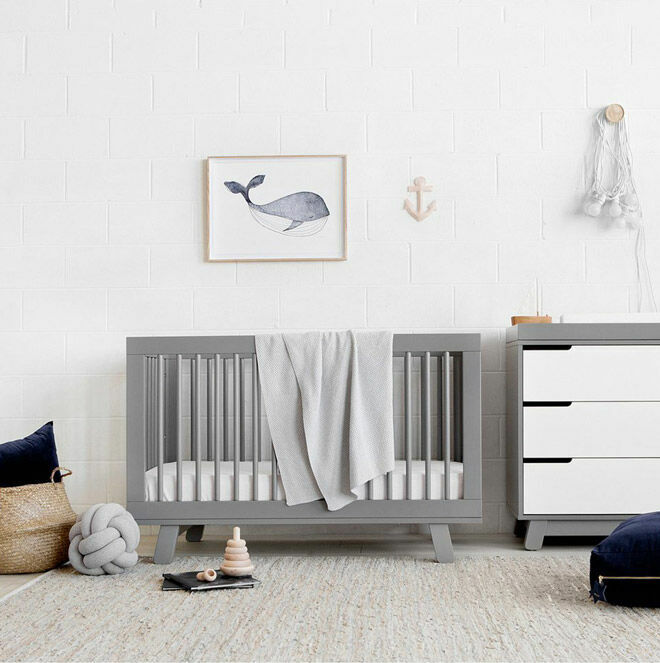 Love N Care Fjord Cot ($749.99): The simple clean lines and minimalist look of the Fjord Cot are an example of contemporary design at its best. The white coloured timber with natural coloured feet and base create an inviting persona. Made from solid oak, this cot comes complete with a two-position base and easily converts to your child’s first bed. Searching for the best cot and still not sure if any of these are right for you? Continue your search online by jumping into one of our closed Pregnancy or Baby groups and ask thousands of other Australian mums what they recommend – ‘What to buy’ is the most talked about topic, followed by MIL vents! Click right here and join your group today!